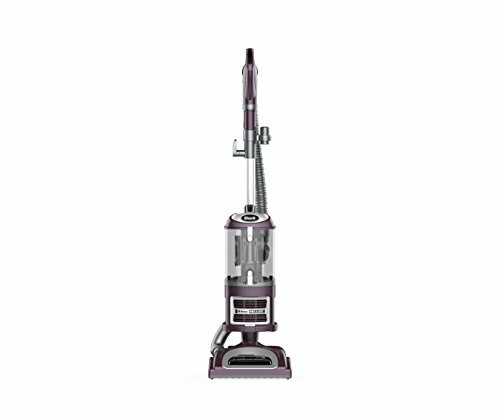 The Shark navigator Lift-Away deluxe is a lightweight upright with never loses suction technology and a unique detachable canister for powerful and portable cleaning anywhere, anytime. The Lift-Away features Anti-Allergen complete seal technology + HEPA that trap over 99.9percent of dust and allergens inside the vacuum plus a large Capacity, bottom-empty bag less dust cup. The dust containment system helps keep dust and allergy-causing agents from escaping into the air. Swivel steering provides complete control to easily maneuver under and around obstacles and furniture. The deluxe motorized brush roll can be turned on or off, providing powerful performance on both carpets and bare floors. This powerful vacuum features premium pet tools, including a pet power brush, dusting brush, crevice tool and a specialized appliance wand for fast and efficient cleaning under low furniture. A generous 25-foot power cord makes cleaning large areas easy. Based on ASTM F1977 of particles of 0.3 microns and larger. Mon - Fri 8a.m. - 1- p.m. EST Sat - Sun 9 a.m. - 6 p.m.